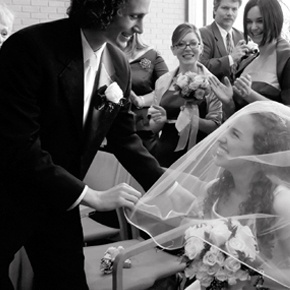 The Badeken, which is Yiddish for 'to cover', is a much anticipated moment of any traditional Jewish wedding. This is the special moment when the bride and groom see each other for the first time on their wedding day! Many devout couples will take a long period time apart before the wedding, which only increases the anticipation of seeing each other for the first time during the Badeken. This moment is a photographer's dream. It really is a beautiful picture to capture, as the eyes of the bride and groom meet for the first time holding so much love for one another. There are several different ways to go about the veiling ceremony during your wedding. The traditional way is to have a procession with the groom, his father, and father in law walk to the bridal room. The groom will veil the bride while the close family is there to witness the act. Often the fathers and grandfathers of the bride will bless her personally after she is veiled. This is all done in private while the guests are seated awaiting the couple in front of the chupah. Another way to do the Badeken is to have the veiling ceremony done in front of all of the wedding guests. If you have a smaller wedding this can be a very unique way to engage everyone who is present. 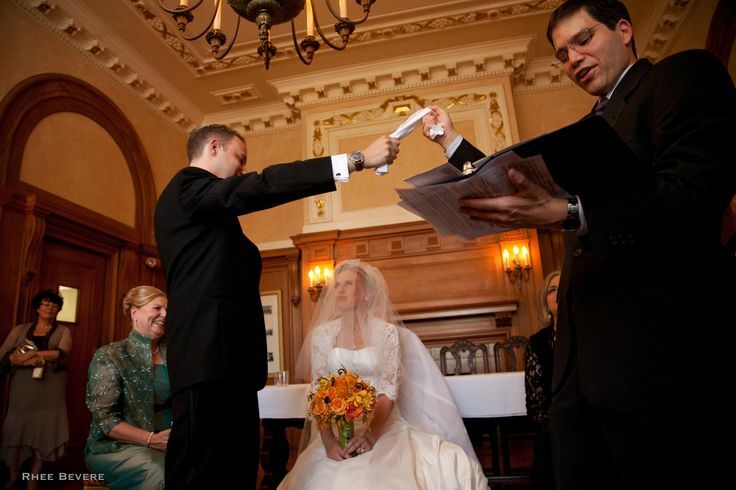 Since the veiling ceremony is such an intimate moment shared between the couple, it can really create a unique energy by having every guest witness it. You can customize your Badeken to match your desires and personality as a couple. Maybe you would prefer to share the moment in private with close family. Or perhaps the idea of including all of your guests is more attractive. The most important part is that you follow what is closest to your heart desires as the bride and groom!